This Introductory Day Workshop is a wonderful opportunity to get to know the art of Thai Yoga Massage while having fun giving and receiving some great bodywork. Aside from a short talk about the background and history of Thai Yoga Massage, most of the day will be hands-on learning. You will learn a sequence of stretches and exercises that are safe and easy to give and feel fantastic. Your friends and family will probably send you for some more training soon! We run regular practitioner training courses in London. Join us and embark on a new rewarding career. "To touch is to be touched." "I wanted to say a heartfelt thank you for today's introduction workshop. Today was so worthwhile and more than what I hoped for. It felt so good to give and receive and I felt energised from it, even though I started off the day feeling very tired. The thing that I really appreciate is how you teach people to be present with the treatment and doing it meditatively and with metta." J. V.
'A heartfelt meditation in movement. Super professional team and tuition. Course energy full of Grace and flow. Thank you!' D.E. "I am so glad I decided to book this. I learnt more than anticipated in just one day. I feel I can go away and treat friends or family with this and that I have learnt something that is useful for life. I really appreciated not only what we learnt, but also how – intuitively, meditatively and from the heart. It was a beautiful day, after which I walked away feeling peaceful and relaxed." J. C.
"For an intro day, I was not expecting to be completely drawn into Thai Yoga massage to the point where I thought "this is the way to enhance my life”!" H.B. 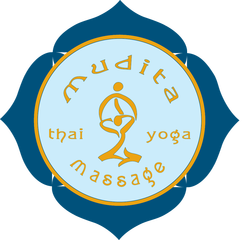 "I thoroughly enjoyed the Thai Yoga Massage Intro Workshop. Ralf is a fantastic teacher with a wonderful calm energy." E. C.